We have been using symbols to communicate our thoughts before we even developed the art of writing. 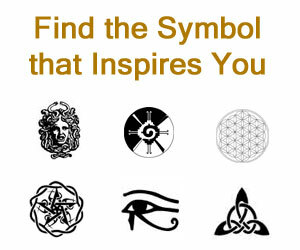 Some of the symbols we use today have their roots in the very beginning of intelligent human communication. Among the most enduring symbols that can be found across geographically and culturally diverse civilizations are those that depict motherhood and everything that mothers stand for including; fertility and procreation, guidance and protection, sacrifice, compassion, dependability, and wisdom. This symbol is also commonly called The Cup. In Paganism, the cup symbolizes water, which is a feminine element. The cup resembles a woman’s womb and is therefore considered to be the symbol of the Goddess of the Womb and the female reproductive function in general. 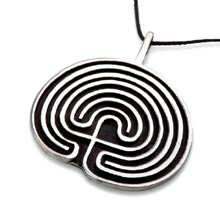 It is an all-encompassing symbol for fertility, a woman’s gift for gestation and the creation of life; a woman’s intuition and psychic abilities; and the subconscious. In Chistianity, the chalice is the symbol of the Holy Communion as it was the vessel which held the wine which symbolizes the blood of Christ. 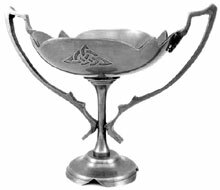 Recent symbolisms however hold the chalice as a symbol for the womb of a woman, not unlike the beliefs held by non-Christian practitioners. The Crow Mother or Angwusnasomtaka is a nurturing and loving mother. She is considered as the mother of all kachinas and is thus held in the highest regard by all. She appears during the winter and summer solstices, bringing a basketful of sprouts to symbolize life’s new beginnings with an abundance of crops. 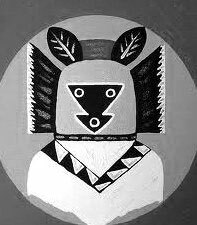 She also appears during Kachina initiation rites for children. She brings a bundle of yucca blades that will be used during the ritual. The yucca blades are used by the Hu Kachinas as whips. The Crow Mother replaces all yucca blades as they become worn during the whippings. 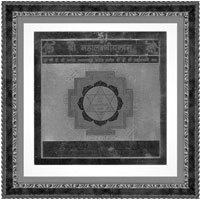 Yantra is a Sanskrit word for “instrument” or symbol. Lakshmi is a Hindu Goddess, the Mother of all Kindnesses. She represents a calming, welcoming mother figure who intercedes on behalf of her devotees before Vishnu, one of the Supreme Gods of Hinduism, alongside Brahman and Shiva. Being the consort of Narayan, another Supreme Being, Lakshmi is believed to be the Mother of the Universe. She embodies God’s divine qualities and spiritual feminine energy. Hindus would normally approach Vishnu for blessings or forgiveness thru the intercession of Lakshmi, their nurturing mother figure. A full moon depicted between a waxing crescent to its left and a waning crescent to its right is the symbol for the Triple Goddess. Next, to the pentagram, this is the second most prominent symbol used in Neopagan and Wiccan culture. Neopaganism and Wicca are 20th-century versions of nature worship that has existed since ancient times. They are also referred to as nature religions or earth religions. 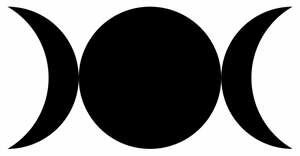 To Neopagans and Wiccans, the Triple Goddess is comparable to the Celtic Mother Goddess; the full moon symbolizes the woman as a nurturing mother, and the two crescent moons stand for the maiden and the crone. This symbol exists all around the world. It appears across many cultures and generations in quite a few incarnations, the most common of which are the three interlocking spirals and the three human legs spiraling out symmetrically from a common center. Similar forms are the three number sevens or any figure composed of any three-pronged protrusions. 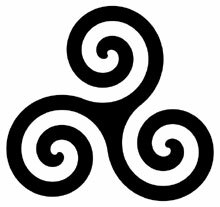 Although it does appear in many ancient cultures, it is most commonly accepted as a symbol of Celtic origins, depicting the Mother Goddess and the three phases of womanhood namely; maiden – innocent and pure, mother – compassionate and nurturing, and crone – old, experienced and wise. In many Native American folk legends, the turtle is credited for saving all of mankind from the Great Flood. It has come to represent Maka, the immortal Earth Mother who quietly carries on her back the heavy burden of humanity. Many turtle species have thirteen sections to their underbelly. These thirteen sections represent the thirteen moons which are why the turtle is associated with the lunar cycles and the powerful energies of the female. 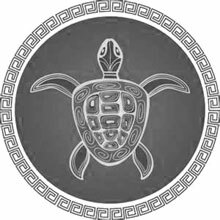 Native Americans believe that the turtle will take care and protect humankind if they take care and protect Mother Earth. We are reminded that just as the turtle cannot be separated from its shell we humans cannot separate ourselves from the results of what we do to Mother Earth. 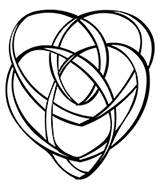 The Celtic Motherhood Knot symbol, also known as the Celtic Mother’s Knot, shows two hearts that are intertwined continuously in a knot such that the lines do not seem to have any openings. It denotes a parent and a child in an embrace and has one heart placed lower than the other. The children can be represented in the symbol by placing dots at any place inside or outside the knot, with one dot signifying one child. The symbol is associated with the Madonna and Child and represents the deep, unbreakable, eternal and enduring bond of love shared by a mother and her children. In Native American tribes, the cactus plant, especially yellow cactus flower, is a mother symbol and represents the unconditional maternal love. 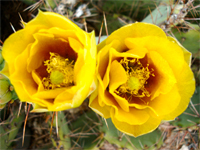 Even in flower symbolism, the cactus flower is associated with endurance as the plant can stand up to the elements and survive in very hot and arid conditions. Yellow cactus flower symbolizes a mother’s supreme patience as she provides selfless, enduring love and protection to her child in all situations of life. 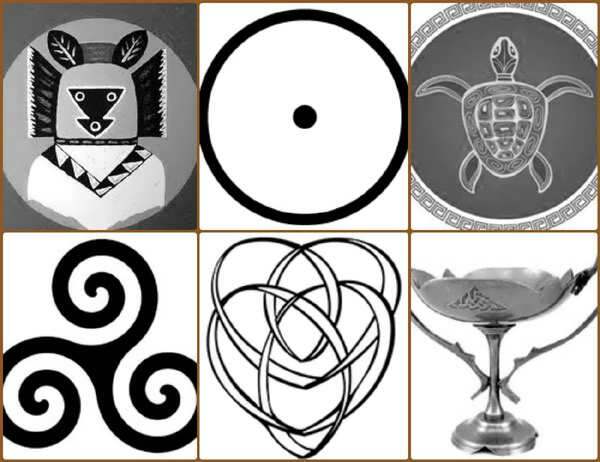 These symbols of motherhood are unique to the cultures from which they came, yet we find curious and uncanny (minute) similarities that seem to suggest a universal kinship among human thought patterns related to motherhood and the symbolism of it. 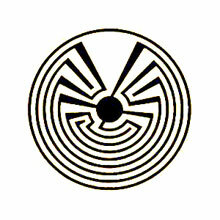 Another pictogram used by the Native Americans to covey the concept of motherhood is a woman symbol surrounded by a circle. 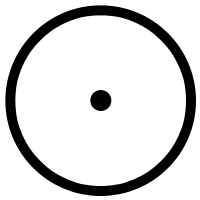 The circle has been the basis of a number of symbols. Being without a beginning or an end, having no breaks or holds, it represents the unending cycle of life and the all-inclusive universe. When used as a motherhood symbol, the circle symbolizes family ties and closeness. It signifies the welcoming, loving and protective embrace of a mother. Another version of this motherhood symbol is the mother and child symbol where the woman within the circle has the symbols for a girl and boy positioned by its side.